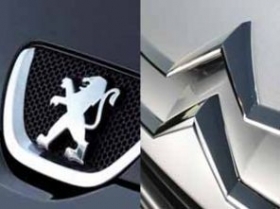 WUHAN -- Dongfeng Peugeot Citroen Automobile Co., the joint venture between PSA/Peugeot- Citroen and Dongfeng Motor Corp. sold 41,900 vehicles in January, up 12.9 percent year-on-year. The company also reported that its revenue for the month increased 12 percent to 4.2 billion yuan ($636 million). In total, the venture sold 24,400 Citroen vehicles and 17,500 Peugeots in January. Dongfeng Peugeot, launched in 1992 in the central China city of Wuhan, builds the Peugeot 307, 207 and 408 cars, and also the Citroen C4 Quatre, Elysee, C5, C2 and C-Triomphe. To expand its presence in China, PSA established a second Chinese joint venture in the south China city of Shenzhen last July. Jointly owned by PSA and China Changan Automobile Group, the new partnership will start production in 2012. It will produce upscale passenger as well as light commercial vehicles for the Peugeot and Citroen brands.